Canadian Scientific Lab Systems is Canada’s premier distributor and installers of Durcon® and Trespa® phenolic laboratory counter tops used in academic science rooms, research labs, product development & quality control labs and industrial operations. Millwork shops, building contractors and private industry prefer Canadian Scientific to supply epoxy & phenolic products to complete their lab projects. Durcon® Solid Phenolic Compact (SPC) is produced by saturating multiple layers of kraft paper with phenolic resin. SPC is a balanced construction on both top and bottom for increased product stability. For increased chemical resistance, a polyester sheet is added and the resulting sandwich is fused together under heat and pressure. This thermosetting process creates strong, irreversible bonds that contribute to SPC’s chemical resistance and durability. Canadian Scientific will help you determine the correct phenolic product for your application, offer design assistance and after-installation care & maintenance suggestions. BEST PRICE GUARANTEE – Canadian Scientific is Canada’s leader in chemical resistant countertops. That is why with confidence we offer our best price guarantee for all pre-fabricated chemical resistant phenolic resin countertops and accessories. We will match any verified pre-fabricated phenolic resin counter top distributor pricing FOB factory to ensure that you have the best price for your lab project. Whether you need one piece or an entire lab, we have you covered. Maximum counter top piece size is 120″ long X 60″ wide. Chemical Resistant SPC Product Colors: Black, Gray or White surface on a black core. Chemical Resistant SPC worksurfaces have a 95 matte texture finish for Chemical Resistant Surfaces and a surface gloss value of 14-18. Standard Grade SPC is the multi-purpose surfacing solution made for general applications such as lab shelving, technical stations and light-duty lab worksurfaces. 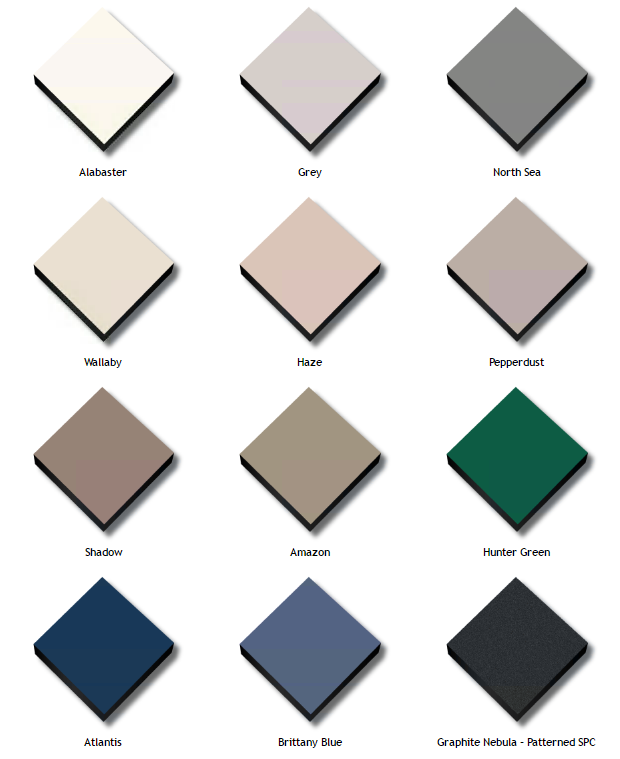 Standard Grade SPC Product Stock Colors: Black, Steel Grey or Glacier White surface on a black core. Standard Grade SPC Product Optional Colors: Alabaster, Grey, North Sea, Wallaby, Haze, Pepper Dust, Shadow, Amazon, Hunter Green, Atlantis, Brittany Blue surface on a black core. Patterned Standard Grade SPC Optional Color: Graphite Nebula.